When someone has an anger management issue, the smallest thing can set them off. They are always on the defensive. They might feel that everyone is out to get them. They react and lash out. Those around them might begin to fear them. If you or someone you care about is having problems with anger, you don’t need to live this way any longer. Polaris Counseling can help. 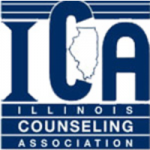 We offer professional anger counseling for the Aurora (IL), Naperville (IL) and Wheaton (IL) areas. You may have an anger management issue if you are constantly angry and feeling the need to defend yourself. The slightest provocation might send you into a rage. You become aggressive when angry and your outbursts become increasingly difficult to control. Anger is a natural response to certain situations. But when it becomes a regular reflex action, it can be highly problematic and destructive. It can affect your relationships, your job, your sense of well-being and even your health. How you manage and react to your feelings determines whether or not you have an anger management–related issue. If you believe you have a problem with anger, you have access to professionally trained counselors who care about helping you. We want you to enjoy greater peace in your life. In working with you, our counselors will apply Cognitive Behavior Therapy (CBT) and Rational Emotive Behavioral Therapy (REBT) strategies to get to the core of the issue. These techniques will help you identify irrational, destructive thoughts or beliefs that are fueling your anger. You will then learn to reframe them in a rational, positive way to avoid triggering the anger. We can help you recognize when you are becoming angry, and why. The aim is then to give you the skills to take action, to calm down and then manage the situation differently. We do not want to eliminate your anger as a normal human emotion. Your goals will focus on expressing your thoughts and feelings more effectively and constructively. Anger counseling is available to you. To learn more about our anger counseling for the Wheaton (IL), Aurora (IL) and Naperville (IL) areas, please contact us at (630) 779-0751.